Who are we? What do we do? What is our mission? We like to say, “It is not about us, the local veterans.” Our post is dedicated to furthering the traditions of the Veterans of Foreign Wars by assisting returning veterans, hospitalized veterans, and their families. Membership is restricted to men and women we have served in combat or combat operations overseas. “You have to have been over there to get in here.” We are a special group of men and women. Many of us returned home. Many of our comrades did not. We don’t know why a brother’s foxhole got hit, but not ours. We don’t know why our plane made it safely back to its home field while others in our wing were blown out of the sky. We don’t know the answer to these questions, but we do know that we have an obligation and a duty to watch after and care for those who came home. We also must always remember the great sacrifices of those left behind. We are especially mindful of the sacrifices of those those who are serving today and coming home soon. We, the men and women of C.V. Cummings Chapel Hill Post 9100, are the keepers of the legacy created by the many thousands of Veterans of Foreign Wars who have built our great organization, fought for veterans rights and benefits, championed the GI Bill, and lobbied strongly to force the creation of the Department of Veterans Affairs. The Veterans of Foreign Wars was started because our veterans of the Spanish-American Wars were forgotten when the guns fell silent. We, therefore, have become the voice for those who have no voice. We do not take that challenge lightly. It is our sacred duty to protect the rights and give voice to our veterans, especially those serving today and about to return to their homes. 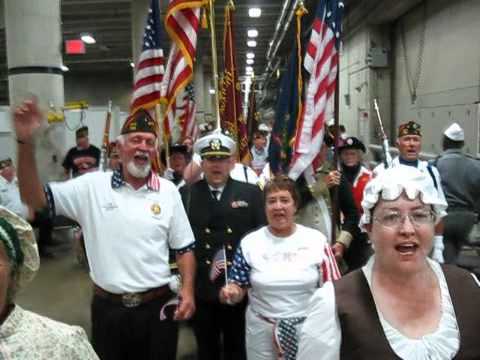 We are the largest veterans group and the oldest. We are chartered by Congress. Membership is not restricted, but you do have to be a veteran who served in a foreign war…after all, that is our name. Are you eligible to join your comrades? Come. Join us. Help us give voice to those who have none. Honor the dead by taking care of the living.